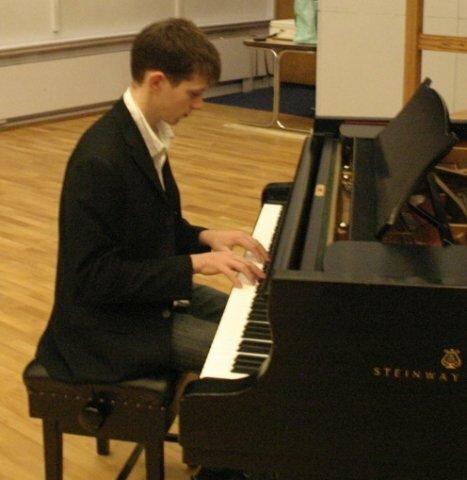 Adam is a graduate of Birmingham Conservatoire where he completed a degree in Jazz Piano. His main interest is in jazz music but he regularly plays in a wide variety of styles from classical to rock. He plays in a number of different sized ensembles, and he also enjoys playing solo jazz piano. Over the last few years Adam has taught a number of private piano students of all ages and abilities within the Birmingham area. He is keen to teach beginners but also pianists of a higher standard particularly if they are are interested in jazz. His primary interest is jazz he likes to teach in such a way that his students would have a working knowledge of many genres and could adapt to many different situations. Adam generally discusses with his students what their aims and ambitions are, and supports them in the direction they would like to go. AdamFrom Barry (5/5): Adam has been absolutely the right choice for me (made easier by comparing his background with others on the First Tutors list) as he specialises in the music I wish to play. He quickly picked me up at my entry point and we have progressed by way of a continuing conversation. It's a bit like talking to a mate who knows more about computing than you do. You tell him your goals and the issues you are up against and he addresses them. His studio in the MakeIt centre provides an ideal environment for a focussed session.